When Janet Bomza started her own immigration firm in the mid-1990s, she put her father’s name on the letterhead. Bomza felt she needed the name of her father, a sole practitioner himself, to lend legitimacy to the firm on both its letterhead and its web site. About 16 years later, the largely women-dominated Bomza Law Group has carved out its niche in the business immigration field. But getting there wasn’t easy, particularly since many of the traditional venues for networking with clients — a drink after work, a golf game or a sporting event — aren’t as easy for women lawyers. “It was really hard,” she said, noting the firm got a big break when a colleague recommended it to a large corporate client and then set about establishing a reputation for cost consciousness. Bomza was speaking at the conference on diversity in the legal profession organized by A Call to Action Canada in Toronto last week. 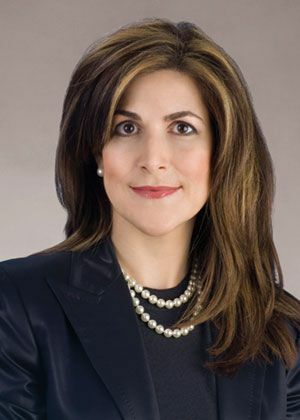 She was part of a panel on promoting women- and minority-owned law firms, an area where the U.S. legal profession has been significantly more active. In that country, the National Association of Minority and Women Owned Law Firms (NAMWOLF) has been working to bring together companies that use legal services and its member firms in order to open up new opportunities. The goal is to have companies commit to spending five per cent of their outside legal budget at women- and minority-owned firms, said Yolanda Coly, NAMWOLF’s senior director of advocacy and development. So far, the organization has signed up 200 Fortune 500 companies and public entities. It also has almost 100 women- and minority-owned firms that benefit from networking opportunities at NAMWOLF’s annual meeting in order to grab a share of the corporate legal work available. NAMWOLF’s work differs from that of the U.S. Call to Action organization, which focuses on efforts by in-house counsel at large corporations to direct their legal budgets to firms with better records on diversifying their legal staff. Canada is also catching up to the United States in terms of organized efforts around diversity in the legal profession, a fact evidenced by the significant presence of U.S. lawyers from companies like Accenture Inc. at the conference last week. But things are happening. As the keynote speaker, Ratna Omidvar of the Maytree Foundation, pointed out, Toronto’s DiverseCity research project is wrapping up a study of 20 law firms, Crown prosecutors, judges, and law schools to look at the representation of diverse groups in senior leadership positions in the legal profession. At the same time, a group of 40 general counsel in Canada came together this month to sign onto Legal Leaders for Diversity and Inclusiveness, a pledge to promote diversity by considering it in their hiring and purchasing practices. But Casey, who welcomes the new effort, nevertheless points out the lack of “teeth” behind the pledge through consequences for law firms that aren’t doing enough on diversity. The idea is that companies would terminate their relationship with those firms, something Casey acknowledges has been an issue as A Call to Action works to expand beyond the seven signatory companies it currently has. There really was an assumption that male lawyers could do it better,’ says Janet Bomza. In the meantime, while diversity is a popular notion in Canada, there are controversial aspects such as questions around quotas and whether allocating work to women- and minority-owned law firms takes away from lawyers of diverse backgrounds already working at the big Bay Street institutions. It’s a question that offends Coly. “How dare they?” she responded when panel moderator Joel Stern mentioned how that question came up at a recent U.S. discussion. “All we’re asking is for the opportunity to fairly compete for your outside legal dollar,” she said. “We’re not even charging you as much,” she added. For his part, Stern noted that part of the issue is what he called the big firms’ atrocious record of hiring women partners and those from minority groups in the first place. At the same time, he said that under a framework of allocating five per cent of companies’ legal budgets to women- and minority-owned firms, there’s room for both them and their traditional counterparts to thrive. Omidvar, too, addressed the question of quotas for achieving diversity. She differentiated, for example, between quotas and targets, something she said is more about setting a goal that firms can measure themselves against. “A target is not a quota,” she said. Nevertheless, many of the participants at the conference, including Omidvar, Bomza, and Coly, noted that despite the many efforts going on, real progress takes time. “We haven’t gone as far as I would have hoped,” Coly said. Originally reported by the Law Times News.